"Which Coloured Hair Extensions Suit Different Skin Tones?" As there are quite a few folks who simply want to know which colours would suit them more than other colours – we thought we’d outline some tips in the hope that it would encourage you to have confidence in your hair colour choices. Here at Peruke, we believe in a laissez faire approach to choosing the colour of your hair, whether you’ve grown it or bought it - folks should ultimately choose colours they feel confident and comfortable wearing. The great thing about hair extensions is that they’re not permanent; if something doesn’t work, you can remove it and move on and this means you get to experiment. We mentioned before that colour charts for hair are a bit like dress sizes – they vary from store to store and that there are broadly two types of colour coding for hair extensions, wigs and hairpieces. 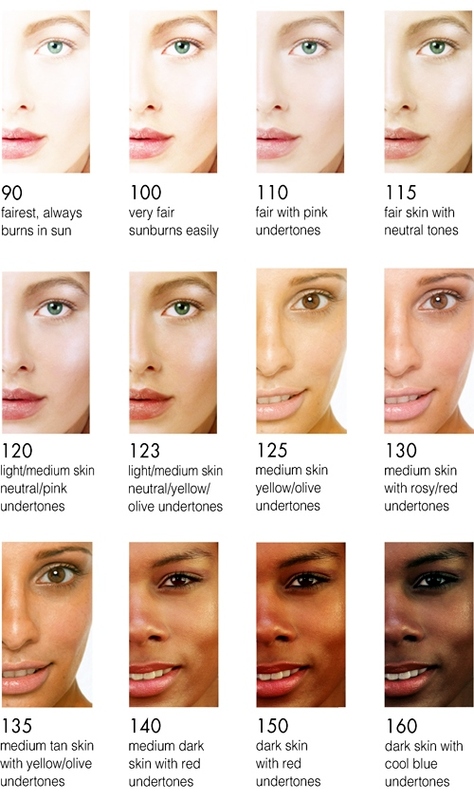 The skin tone chart is from http://www.vapourbeauty.com and given that they do airbrush make-up it’s quite detailed and it will appear in each article along with a number of charts with different colours for hair extensions. Below is a brief canter through complementary colours for hair extensions for the three broad groups of skin tones. Click the links for detailed outlines and hair colour charts. Check the hair extension colour guide for darker skin tones. Check the hair extension colour guide for medium skin tones. Check the hair extension colour guide for lighter skin tones. If you’d like more tips, about hair extensions, take a looksee at our Hair Extensions Q&A section or you can keep up with the next guide or article about hair extensions, hairpieces and wigs by joining our blog.